The Intergovernmental Panel on Climate Change (IPCC) met in South Korea earlier this week and released their starkest warning yet on the threat posed by climate change. The Special Report on Global Warming highlighted a number of climate change impacts that could be avoided by limiting global warming to 1.5°C instead of 2°C. For example, at 2°C: virtually all coral reefs would be lost (70-90% would be lost at 1.5°C); the Arctic Ocean would be free of sea ice once per decade (compared to once per century at 1.5°C); and global sea levels would be 10cm higher by 2100. This apparently small difference would put hundreds of millions of people at risk of life-threatening floods. We are already seeing some of the effects of 1°C warming. Blue Planet II highlighted the unprecedented coral bleaching in back-to-back years at the Great Barrier Reef, where an estimated two thirds of the shallow water reef bleached in 2016 and 2017. In 2012 we saw the lowest levels of Arctic Sea ice on record, halving in size since 1980. And devastating floods are affecting more and more communities worldwide, such as the recent floods in Kerala, India – Flexitricity research engineer Gautham Krishnadas’ home state. Alarmingly, the report highlights that at current rates of warming we’re headed for 3°C. Limiting global warming to 1.5°C and lowering the risk of these long-lasting and irreversible changes will therefore require “rapid, far-reaching and unprecedented changes in all aspects of society”. Transportation, food production, the decarbonisation of heat, and of course our energy systems all have a big part to play. It is of course a global challenge, but the change will need to start on a local level – that includes wider adoption of demand side response (DSR) in the UK. It’s a very concrete step many businesses across the country can take to do their bit in a global fight against climate change. Keeping coal and gas plant on hot standby or part load, to respond to unexpected increases in electricity demand, is expensive, inefficient and carbon intensive. Dr Alastair Martin founded Flexitricity on the principal that demand-side management from flexible load or on-site generation would be a far more cost-effective and carbon-efficient solution. In 2008, Flexitricity was the first company in Great Britain to bring DSR into Short-Term Operating Reserve (STOR), a service National Grid deploys when it needs more power in reserve on short notice. In June 2018, we celebrated our 10th anniversary of delivering DSR services such as STOR to National Grid – responding to over 10,000 calls in the process. During the last decade, our energy landscape has changed drastically. Coal is on the way out; not just because of DSR edging it out of reserve roles, but that has played a part. The UK set a record of 76 hours without coal-fired generation earlier this year, Scotland’s coal plants are all now closed, and the UK government has a target of closing all remaining coal plants by 2025. As coal declines, the growth of renewable energy will play a large role in decarbonising our energy systems further. However, the variable nature of their output brings different challenges to National Grid. Some newspapers have enjoyed bashing wind power with hyperbolic headlines about the costs of turning off wind turbines when there’s not enough energy demand on the system. Flexitricity’s service development engineer Saskia Barker pioneered ‘Footroom’ in 2014 – a service which pays large energy consumers and generators to shift their consumption or reduce on-site generation when the wind is blowing. 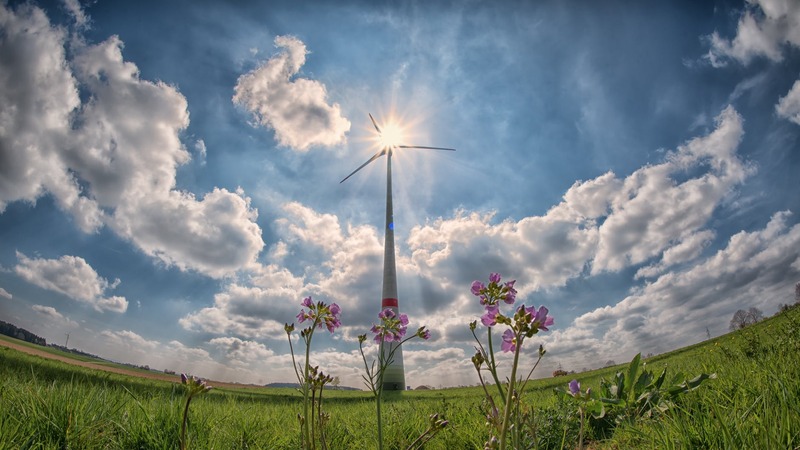 This is now a service procured across the UK by National Grid as Demand Turn-Up (DTU), deployed at times of high renewable output and low national demand, keeping the turbines turning when there’s excess wind capacity to be absorbed by the system. The technology used in wind and solar generation brings particular technical challenges in National Grid’s management of mains frequency – the heartbeat of the electricity system. With more renewables coming on line replacing coal-fired power, there’s less inertia on the system to help hold frequency steady. That means that when the system takes a big hit, the rate of change of frequency (RoCoF) can be very fast. Addressing this directly, Flexitricity is the sole DSR participant in National Grid’s Enhanced Frequency Control Capability (EFCC) project, providing inertia and RoCoF management services to the Grid using industrial, commercial and public-sector sites, including cold storage, waste water treatment and CHPs. The final report is due soon, but we’ve already shown how demand-side resources can fill the inertia gap. Through DTU, EFCC and our Quickturn project for smaller commercial sites, Flexitricity is helping the system to absorb more and more renewable generation, leading to a greener grid able to support new electricity demands from electric vehicles and heat pumps. As an energy supplier, Flexitricity provides access to both wholesale electricity markets and National Grid’s Balancing Mechanism. These form the foundation of the business case for flexibility, whether in end-user assets or merchant projects such as batteries. Globally, there’s so much more to be done in terms of reducing fossil output in our energy systems. The warning in the IPCC’s report is a stark one, and “unprecedented changes” are required. What we’re finding is that flexible energy and renewables working hand-in-hand make a compelling business case already. Flexitricity operates across GB and in mainland Europe, but we’re located in Scotland, where politicians have long understood the economic potential of green business. We’re proud of our achievements to date, and although we know there’s a lot more to be done to achieve a greener, cheaper and more secure energy system, we’re optimistic about the future. That’s what we will be discussing with Paul Wheelhouse MSP, Minister for Energy, Connectivity and the Islands, at the Flexitricity+ launch later this month.